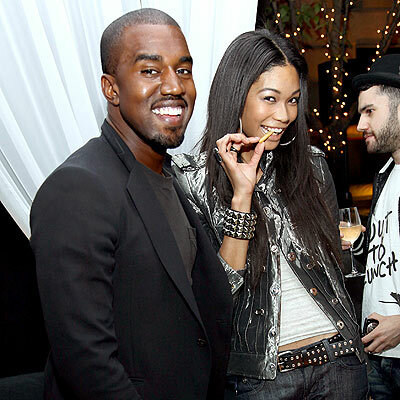 Photo: Sara Jaye Weiss Blindie's fave model Chanel Iman cozied up to Kanye West during the MEN.STYLE.COM Women of Fashion event in New York on Wednesday and even shared some fries with the ego-tastic singer. The 3rd annual fashion bash held at the New York Palace Hotel's Palace Gate celebrated 25 of the fashion industry's most glamorous ladies, including Rachel Roy, Chloë Sevigny and Berrin Noorata, selected by a panel of equally stylish men: André Benjamin, Paul Sevigny and Sean Avery. MTV is reviving its popular 1990s show House of Style and is reportedly reaching out to Blindie's fave up-and-coming model Chanel Iman to host. According to the New York Post, the music network is also reaching out to Leonardo DiCaprio’s on-and-off-again girlfriend Bar Refaeli to possibly host as well. The show, which made such models as Cindy Crawford and Rebecca Romijn accessible to Gen X, went off the air in 2000.